Leg VI Ferrata was joined by Leg X Fretensis in a group of 25 Romans at the Armageddon Show. In the morning we worked on crowd and traffic control at the front gate, and then as Roman Guard of Honour escorting the VIP stars from the public stage to the celebrity signing area, before doing a march around and demonstrating some Roman maneuvers in the courtyard. Sunday was more of the same. Roman life can get quite repetitive when there isn't a major war on. 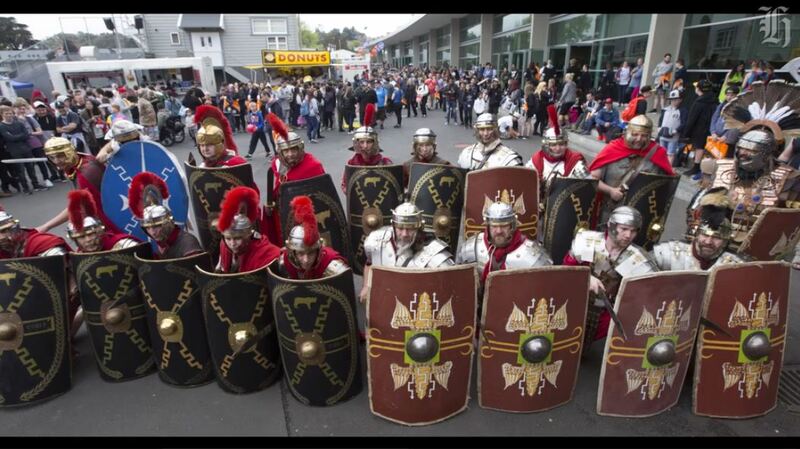 The NZ Herald Pic of the Imperial Romans.